We features the p3d model viewer in Feburary. 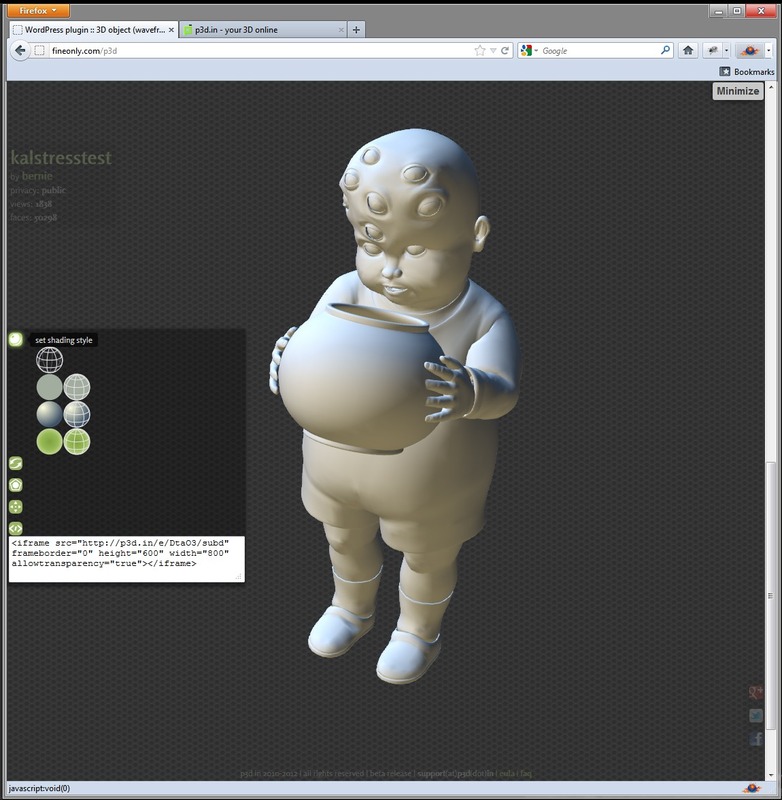 It bring 3D model viewing to your browser without the need of a plugin. It uses webGL to render out the object complete with textures and UV Maps. You can upload .obj files saved out of most 3D software or exported from SolidWorks with this macro. You can already embed the viewer into a webpage with an iframe code snippet from the model view page on p3D.in, but default WordPress sites don’t support iframe. So now, they have a WordPress plugin which makes it easier to embed the viewers into your WordPress site. Here’s an example. Dell Brings on the First Multi-User Rack Workstation.